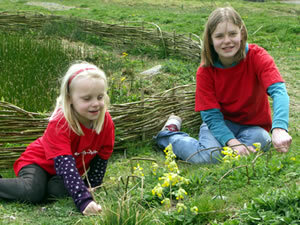 On Saturday 5th May Carymoor is offering local people a unique opportunity to explore the Carymoor Nature Reserve. For the first time we are inviting the public to explore the nature reserve by following nature trails through the wildlife habitats that have been created on this restored landfill site. Carymoor Environmental Centre was established 15 years ago, but because it's next to the Dimmer Landfill site, access is usually limited to school groups and guided walks. You never know what you're going to see. Over the winter we had short-eared owls and hen harriers turn up. It's a real haven for wildlife. In addition to walking along the nature trails looking for butterflies, skylarks or wildflowers, you will be able to see the new Iron-age roundhouse and giant-sized tipi which are used as outdoor classrooms, and visit the African-style classroom in the Kroo Bay replica shanty town. There will be fun activities for children and you can enjoy tea and cake in our beautiful centre building and its surroundings. 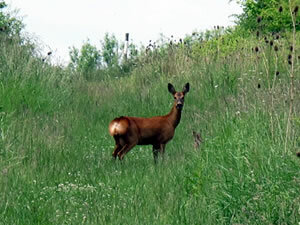 We want people to be able to enjoy the wonderful nature reserve that we have created. We are exploring ways to make Carymoor open for all to enjoy and hope that this is the first step towards realising this dream. The Centre is managed by a dedicated team of staff and volunteers who will be on hand to explain Carymoor's plans for the future and how you might be able to help. The Centre will be open to the public on Saturday 5th May from 10.00am till 4.00pm. Entrance is free and refreshments will be available. We do ask that you wear stout footwear as the trails are over uneven field areas and reclaimed landfill. For more details about the event contact Carymoor on 01963 350143 or see our website: www.carymoor.org.uk.